Five Lenoir County residents who live in District 3 and would like to become a board member had their opportunity to impress the current Lenoir County School Board at Tuesday’s September meeting. Jon Sargeant left the board in July after being named a district court judge by Gov. Roy Cooper, creating the vacancy. Residents in Sargeant’s district were encouraged to send in a letter of interest and were given five minutes to state their reasons why they wanted to join the school board. 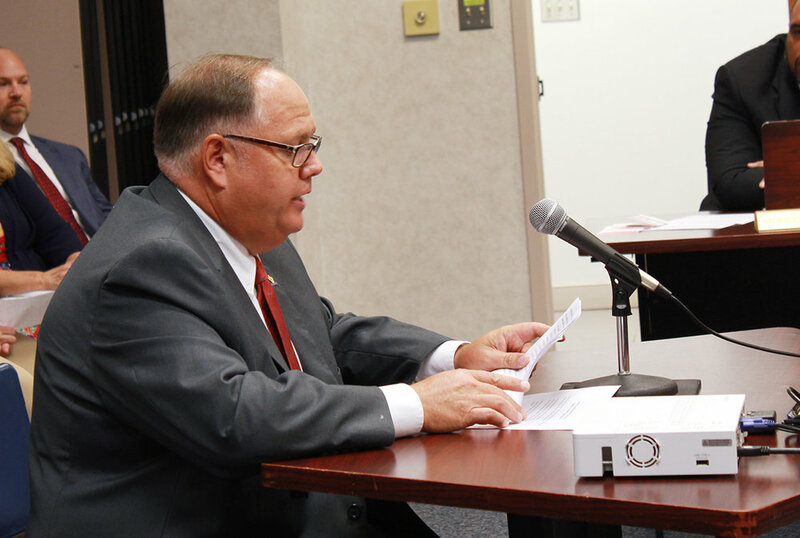 The candidates were also given the same three questions to answer by the board’s attorney. After listening to all the presentations, the board met in closed session for 20 minutes and decided to wait until a special Sept. 17 meeting to announce its choice for the replacement. 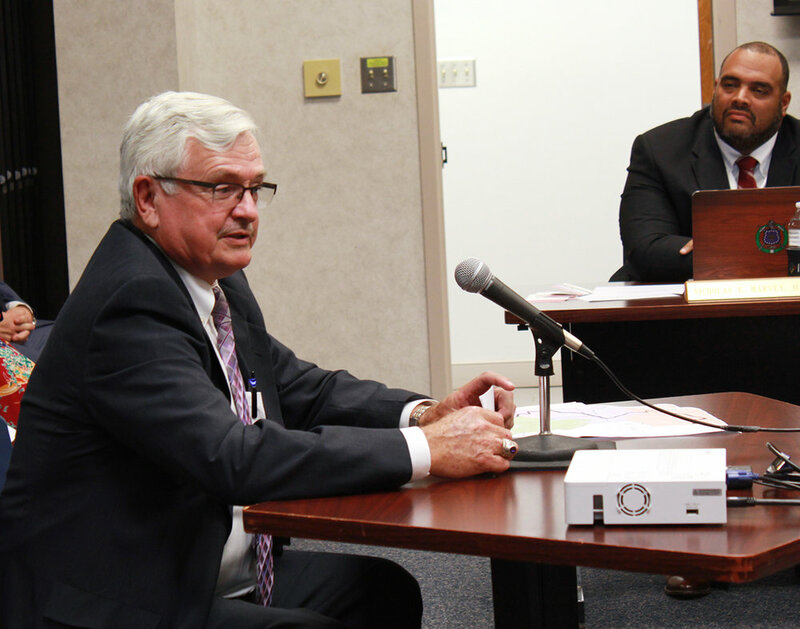 School board chairman Keith King said there were several reasons to put the decision off for two more weeks. During the open discussion following the closed session, school board member Merwyn Smith said he knew who he was supporting and was ready to vote. However, he agreed with his fellow board members and voted with them to postpone the decision until Sept. 17. In order, Annette Hawkins, Dorian Edwards, Dean Sauls, Wandra Williams and Richard Bogan each spoke about their desire to join the board. Anthony Kennedy was scheduled to make his case to the board but learned a couple of hours before the meeting he would have to give up coaching the North Lenoir High School soccer team if he were selected. He withdrew his name from consideration. King said he was very pleased with the five candidates.